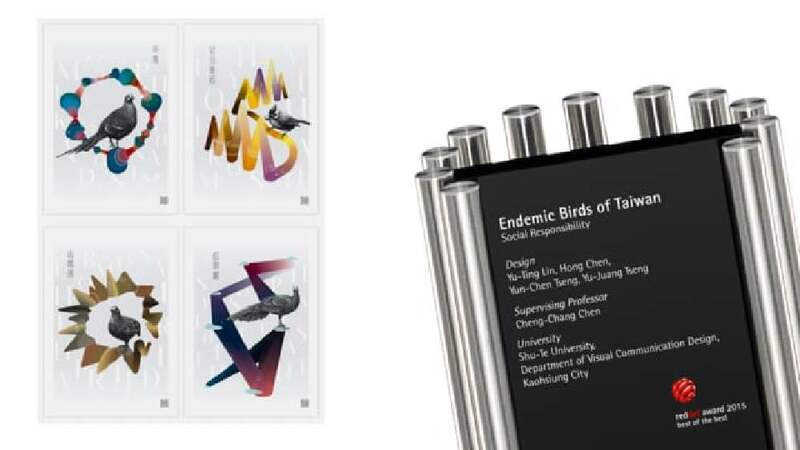 This poster series is dedicated to some birds that only live on the island of Taiwan. A selection of ten different birds is presented in a differentiated, multi-sensual concept which tries to transfer their particularities, colours and song into visual images. The implementation of this design was accomplished by figurative marks which were placed next to the images of the birds. They were developed by a kind of computer-aided extraction from both the colour spectrum of the birds’ feathers and the sound graph of each bird’s respective song. In order to offer people an acoustic experience of the song as well, they can scan the QR code on the poster and thus get access to the corresponding website. The intention is to teach people how to recognise the endemic birds of Taiwan based on their typical song. This work fulfils its promotional aim by following a differentiated approach. It impresses with both a sophisticated design and the way it interprets the possibilities offered by visual representation. A highly interesting innovation is presented by the digitalisation process used for visualising the different bird songs, with a computer generating the underlying data.